Read The 5 Most Underrated Forwards in the NHL here! While it’s nearly impossible for a forward to go underrated, it happens exponentially more often for defencemen. Because forwards are graded mostly on their production, it’s easy to see who’s having success and who’s not. It’s a different story for defencemen, though. Defencemen need to have an excellent all-around game to be considered one of the premier in the league.Aside from putting up points, they should have good puck possession numbers and a good takeaway to giveaway ratio. For statistics that aren’t kept, they must be able to shut down the oppositions offence and also be able to start an efficient breakout. Since many of the responsibilities of defencemen are not kept in number form which can be sorted from best to worst, it’s extremely easy for defencemen to be able to fly under the radar of the media and league. Because of this, we get some very underrated defencemen. Anton Stralman definitely took the long route to becoming a stud in the NHL. Originally drafted by the Toronto Maple Leafs in the seventh round of the 2005 NHL Draft, he would be dealt after just two seasons to the Flames for Wayne Primeau and a second round pick. He was then flipped to the Blue Jackets for a third round pick. He had a career year in Columbus with six goals and 34 points and used that to find a three-year deal with the Rangers. In 2014, he finally signed with the Lightning at the age of 28, where he scored nine goals and 39 points in his first year. 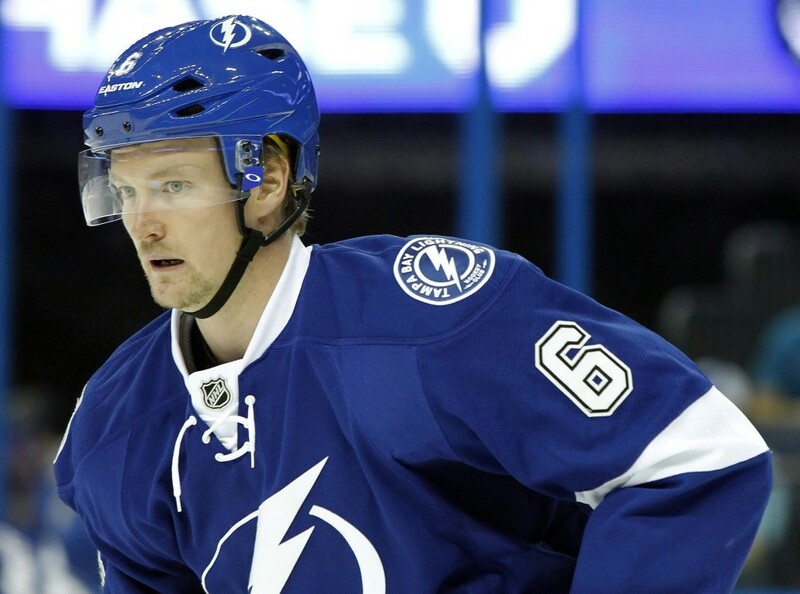 Stralman played first line minutes last year, as well as leading defencemen in power play and penalty kill minutes. He received top minutes in all situations, as he originally came in as a shutdown guy. But, he surpassed expectations by collecting the most points among defenders, while also leading them in power play points with 14. Stralman ranked third in the league in Corsi For % with a 56.3% rate, a mark that allowed him to rank sixth in CF% Relative Teammates at 4.7%, proving that he added an elite element to the Lightning’s game. On the back-end, Stralman also ranked second among Lightning defence in hits, with 108, and in takeaways, with 23. 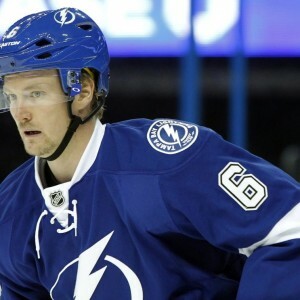 As he continued to embrace his role in shutting down the opposition, Stralman rose to the opportunity by adding an offensive element that had yet to be seen from him. With more off an all-around game, if Stralman can repeat his 2014-15 campaign, he should solidify his spot as an elite defencemen in the NHL, finally. Tyson Barrie is yet another defenceman who wasn’t a first-round draft pick, but had developed into one of the bet in the business. Drafted 64th overall in 2009 by the Colorado Avalanche, he made his debut in 2011-12. He broke out in 2013-14 when he scored 13 goals and 38 points in 64 games, driving the Avalanche to a very unexpected division title. Then, he managed to improve immensely yet again last season, scoring a career-best 53 points which ranked eighth among all NHL defencemen. Barrie received top pairing minutes last year with the Avs, playing 21:21 a night, while he led his team in power play time per night with nearly three minutes. Unfortunately, Barrie’s possession numbers suffered dearly while playing for a Colorado team that was second last, only to the Sabres, in shot attempt differential at -984. While Barrie’s CF% was just 45.3%, that mark was 11th in the NHL relative to his teammates, controlling 4.5% more of the shots than those around him. If the Avalanche can improve their game and control more of the play, Barrie’s numbers could be amongst the top. Barrie also led his Avalanche defencemen by a mile in takeaways, with 40. At just 24 years of age, Barrie still has a long way to go in his development and looks primed to continue to improve. He still needs a little work in the defensive end, but offensively, Barrie could potentially Erik Karlsson for the lead in points among defencemen in a few years. As for now, he remains highly underrated, although that won’t last much longer at this rate. Jake Muzzin has exploded through the Kings depth chart over the past three years, developing his game and improving exponentially each year. 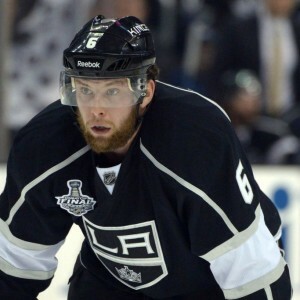 Originally drafted in the fifth round by the Penguins back in 2007, Muzzin joined the Kings via free agency in 2010 after not receiving an entry-level contract from Pittsburgh. Since then, he’s clawed his way up to the top pairing next to Drew Doughty. Last season, he had career highs in goals, with 10, and points with 41, playing 22:41 a game. With Slava Voynov unfortunately out of service, Muzzin stepped up and took over his spot on the first power play unit, garnering 2:33 a night on the man advantage where he added four goals and 14 points. The 26-year old had the highest Corsi For % in the league last year, for the second year in a row (61.1CF% and 5.6CF% RelTM in 2013-14), controlling 58.2% of shot attempts. You may think that number is boosted playing for the possession obsessed Kings, but his 4.1 CF% relative teammates was 15th in the league, proving that he adds an irreplaceable element to his team. He remains solid on the back-end, ranking third among Kings’ defencemen with 186 hits and first in takeaways with 18. 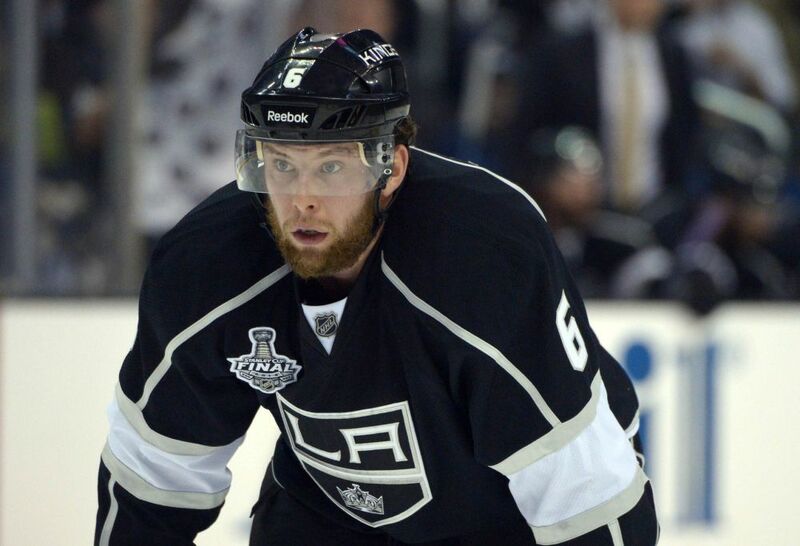 With numbers that lead the NHL in multiple categories, its shocking that Muzzin is able to remain a low-profile defencemen, but that likely won’t last much longer. After breaking out in 2014-15, he attracted much more attention than in previous years. If he can prove that year was no fluke, he should become one of the elite defenders in the NHL. Who do you believe is the most underrated defenceman in the NHL today?